Although you may not find this to be as amusing as I do, both sides enter into a negotiation with exactly the same amount of time as the other side has. We may not realize this and as we start to feel under the gun we may be envious of the other side, but what we need to keep in mind is that they have to be experiencing the very same things that we are experiencing. If we can realize this, then all of a sudden we can start to look at time as being less of a burden on us and more as a tool to be used during a negotiation. If it were not for time, there is a very good chance that none of our negotiations would ever wrap up. For you see, what time brings to the table is pressure on both sides. This pressure has the result of putting stress on both sides to keep things moving forward. Ultimately, as the time winds down, both sides are forced to make decisions. No, this is not fun for anyone but it does mean that things do wrap up and we are all able to move on to our next task. I can only speak for myself, but I have been in plenty of negotiations where both sides were not inclined to make any concessions to the other side. And so we sat there and waited. What happened in these situations was that the deadline to wrap the negotiations up started to approach. When both sides became aware that their time was running out, all of a sudden concessions started to be made. The negotiations started to move and agreements were reached. The proximity to the deadline clearly motivated both sides to start to do something. The reason that a principled negotiation wraps up is because someone at some time told everyone who is involved in the negotiations that things were going to be ending at a specific date and time. This is why we call this type of communication a deadline. There is a sense of magic associated with a deadline, the behavior of everyone involved in a negotiation will start to change as the deadline starts to grow near. One of the questions that I get asked by the people that I am consulting with is just exactly what they should be doing when a deadline starts to get close. I tell them that what might be more important is what they should not be doing. They don’t want to start to give off physical signs that they are becoming tense because of the approaching deadline. No rocking back and forth, walking around, or other fretting motions. Instead, what you are going to want to do is to remain composed and confident. Show the other side that you are not fazed by the approaching deadline. All too often in a negotiation, the other side has informed you that the deadine is a “hard stop”. This is interesting information, but I wouldn’t give it too much weight. The beauty of any negotiation is that just about everything is negotiable, and this includes the deadline. If the other side believes that they can reach a deal with you, they’ll be willing to bend on the deadline so don’t get too worried about it. The one thing about time in a negotiation is that for some odd reason it never seems to be on our side. Oh sure, we start out a negotiation with all the time in the world, but somehow we seem to quickly get ourselves into a situation where there is precious little of the stuff left. There has got to be a way to make time start to work for us. It turns out that time is a good thing in negotiations. It forces the other side to keep things moving along and make some decisions. When a deadline is involved in a negotiation, what happens is that all of a sudden when the deadline starts to approach, decisions will get made and agreements will be reached. When that deadline starts to come your way, you need to remain composed and confident – don’t do things that will make you look nervous. Don’t worry too much about deadlines, like everything else in a negotiation they can be negotiated. 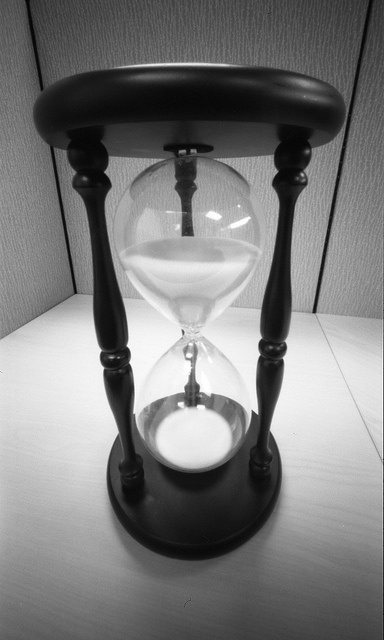 As negotiators we need to view time for what it is: yet another tool for us to use during our negotiation. If we can master time, all of a sudden deadlines will become our friend and we’ll understand how to use time to move things along and cause concessions to be made. Time is what is going to allow us to get the deals that we both want and need! Question For You: What do you think is the best way to start to get the other side to agree to changing a deadline? When you know that you will be involved in a negotiation in the future, when should you start to prepare for that negotiation? If you are like most of us, using the techniques that we probably learned back in high school, we tend to put off the getting ready work until the date that the negotiations are to start is almost upon us. It turns out that this is the wrong thing to do, we really need to start getting ready to negotiate long before the starting day arrives.